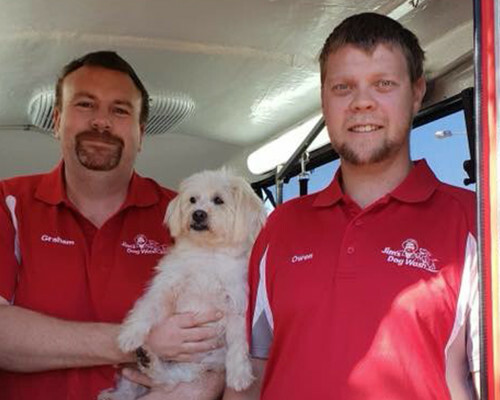 Hi, we are Graham and Owen and we are the local Jim’s Dog Wash franchisees in Forbes. We love nothing more than pampering pooches of all shapes and sizes. We are fully trained, security checked and insured so that you know that your dog is in safe hands at all times. We provide washing/drying, full clips and styles as well as nail clipping for the Forbes, Parkes, West Wyalong and Cootamundra areas.